This is a great community. It’s clean, quiet, there’s a lot of space. neighbors are friendly. Perfect place to raise a family. Really feels like home. Great place to live in: I have lived here for over 4 years and can't think of any where else in this neighborhood to move to. The rental office ate polite, pleasant and quickly responds to request. Staying here for last 4 years, nice place to live. Maintenance requests are quickly addressed. The location is awesome very near to all major shops. Employees and staff very nice. Some of the units are a little messy. Patio areas do not reflect very nicely on the complex. The maintenance department is also very professional. This is an amazing community to live in. Nice apartments and the most important thing is the community is in the center of the city and all the fun stuff is near by. The staff is helpful and amazing and I am loving staying here. Great, peaceful, beautiful community. A wonderful place to live with great amenities. The new gym and clubhouse is awesome and inviting. Glad i picked here to reside. I absolutely love living at 803 Corday! The staff here are super friendly and there is so much to do around the complex. It's a comforting feeling that I can take a stroll around the pond, work out in a clean gym, and grab a delicious coffee at the clubhouse. I'm also excited for the new recycling initiative to help keep our community living more eco-friendly. Awesome community to live in with great neighborhood. Major shopping locations, schools, park n ride nearby. It is a safe community with to live. So far it's been an amazing experience. I just moved in here a few months ago and have never felt more close to home. It has always been fun. Es un excelente condominio para vivir. Los apartamentos son muy modernos y bonitos. La atención en La oficina es de primera calidad y rapida. I enjoy living here, so friendly and an amazing environment to live in. The apartments are very spacious as well and huge closet space and bathroom space. I recently moved to this community and I love it!! I feel safe inside my unit and outside in the community. The club house is fabulous. The manangement office staff are friendily, helpful and simply great peoole. 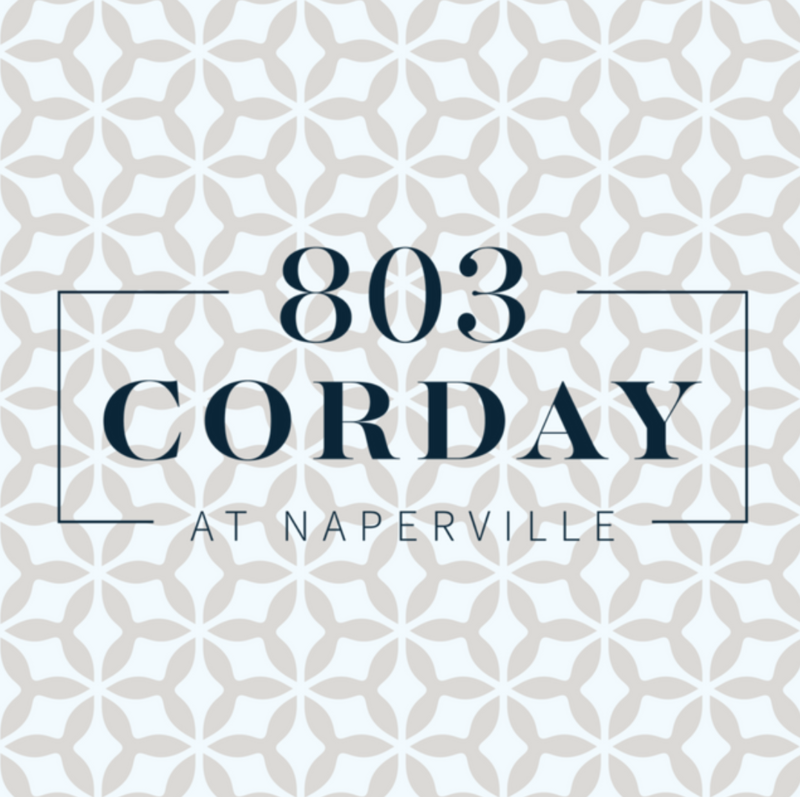 803 Corday a great place to live. The community is amazing. I was in love with the apartment the first time I saw it and was very excited to make my move. Had to wait for sometime until the clubhouse and fitness center reopened but the wait was worth it. Very clean and nicely maintained. The fitness center has a variety of equipments and classes. The clubhouse has a good collection of coffees and drinks and obviously the games!. Waiting for summer to try the pool now. My husband and myself moved here on December and I chose this apartment because I can easily commute the outer world like malls,grocery shops entertainment etc.The maintenance service is also good and its very fast after registering the issue and the community is also clean and well maintained.I can prefer this community to my friends too. This apartment complex is amazing. The staff is wonderful and so sweet. The maintenance guys are amazing at cleaning the complex with the snow and staying up on maintenance needs. One of the best places to live in Naperville. Only if they can create a children park some where within community that will complete it. Other than that it's great to live here. So far 90% of our stay here has been amazing, the only problem we have is our neighbor being so loud and certain people in the complex not picking up after their dogs. I love the community office and all the amazing perks of living here. I absolutely love living here, it has been such a blessing! All of the office and maintenance staff are just wonderful and our community has a lot of nice people! 803 corday is very good community and team is very supportive to help if any help required .i have recently joined and feeling comfortable here to stay. We have loved living in this pet friendly, quiet community. Everyone that we have met has been super nice. We have lived here for almost 2 years now with no issue.